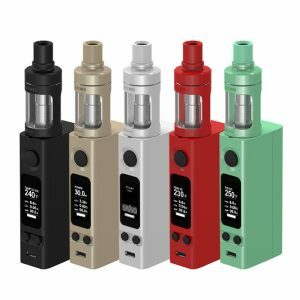 The Aspire Odyssey Mini Kit mixes two of the best Aspire products to create a kit with an impressive ratio between compactness and power. The Aspire Odyssey Mini Full Kit is a capable set that includes the Pegasus Mini 50W Box Mod and the Triton Mini Tank, making something very compact for its power. 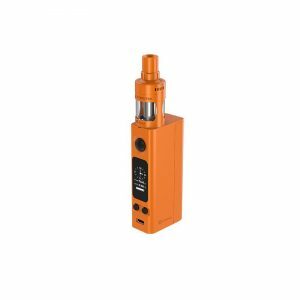 The Aspire Pegasus Mini mod is both a variable wattage device, as well as a Temperature Control device. The mod’s wattage ranges from 1 to 50W with a minimum atomizer resistance of 0.1 ohm which is more than enough to fire some of the sub-ohm tanks available today. The Pegasus Mini mod has a resistance range of 0.1 to 3.0 ohms (0.2 to 3 ohms in BYPASS mode). The Pegasus senses Temperature Control technology in the coils and switches modes automatically. The mod’s OLED display is large (0.86”), bright, and offers up plenty of settings. It also has an automatic display orientation switch, that quickly changes whenever you change hands. The Pegasus Mini has a sleek design of stainless steel who most will find fits elegantly into their palm.The magnetic battery access door eases the process of changing a battery. The Aspire Triton Mini is made with 304 stainless steel and glass. It has adjustable airflow and a top-fill system. The Triton Mini is the smaller version of the Triton Sub-ohm Tank. 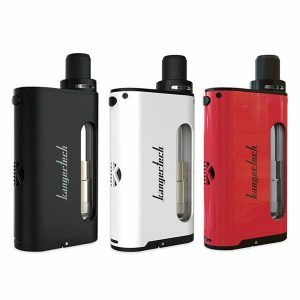 It maintains most of the features of its counterpart, in addition to its 16 mm profile and 2ml tank capacity for e-liquids. For a thorough cleaning, the Triton Mini Tank maybe be completely disassembled. The Triton Mini comes with Kanthal coil heads, one 1.8 ohm and one 1.2-ohm coil head, and a 0.15 ohm Ni200 coil head. Aspire Nautilus coils are also compatible with the Triton Mini. The Aspire Odyssey Mini kit is a compact yet capable set, hence being a great choice for all enthusiasts. Its price point is decently low, allowing a powerful vape anywhere you go.